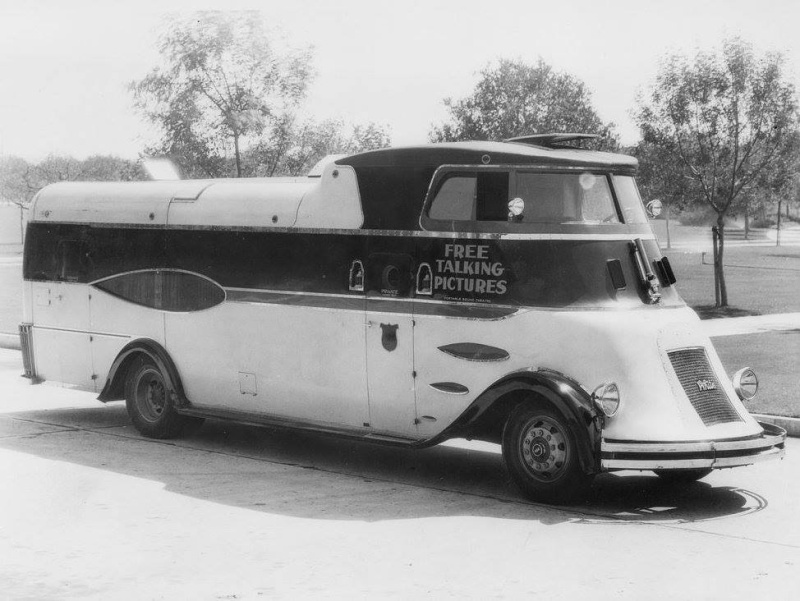 "A black and silver thirty-four-foot juggernaut of the road, just completed in California, will bring talking movies to country dwellers, in towns too small to boast theaters of their own. 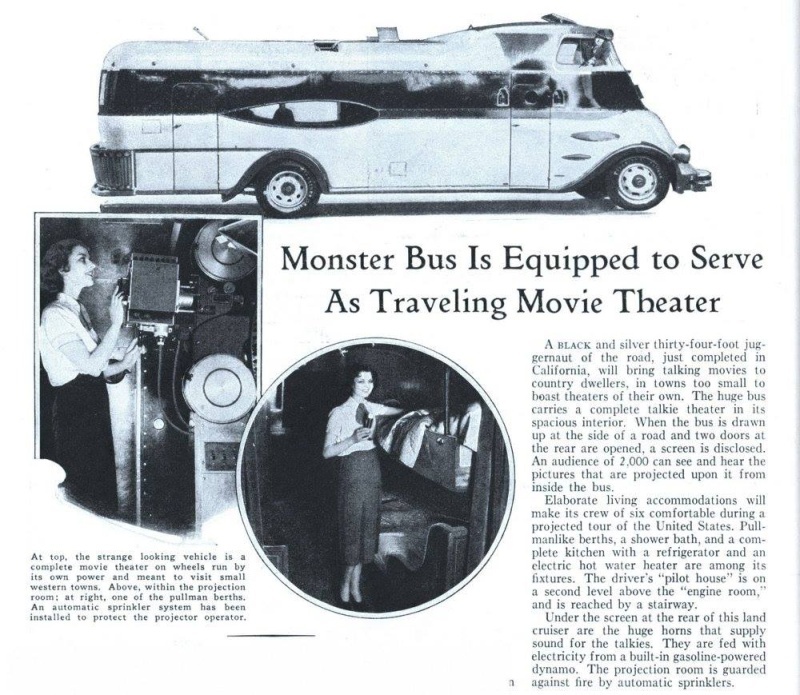 The huge bus carries a complete talkie theater in its spacious interior. 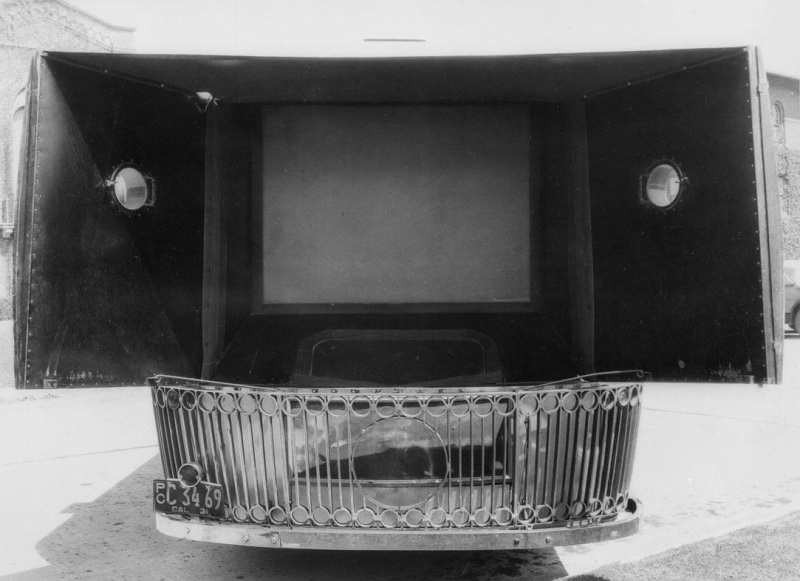 When the bus is drawn up at the side of a road and two doors at the rear are opened, a screen is disclosed. An audience of 2.000 can see and hear the pictures that are projected upon it from inside the bus. 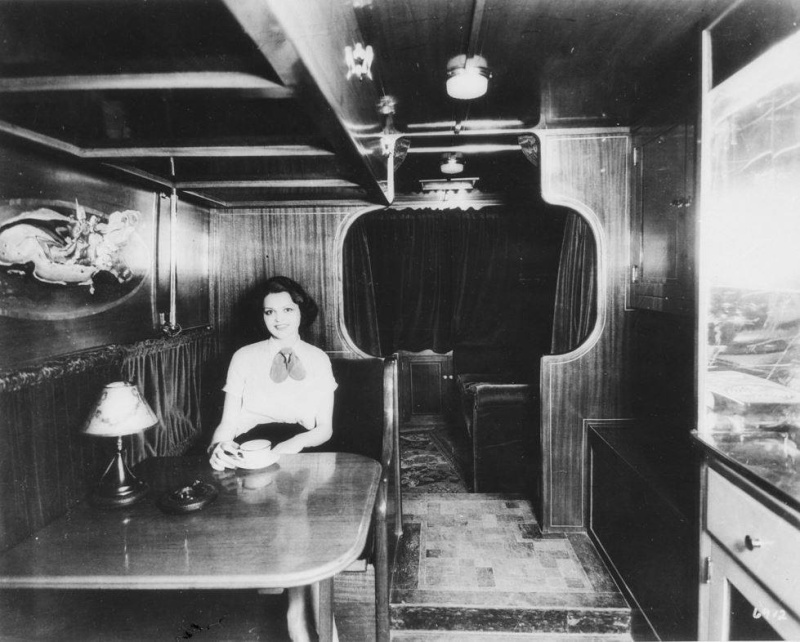 Elaborate living accommodations will make its crew of six comfortable during a projected tour of the United States. Pullmanlike berths, a shower bath, and a complete kitchen with a refrigerator and an electric hot water heater are among its fixtures. 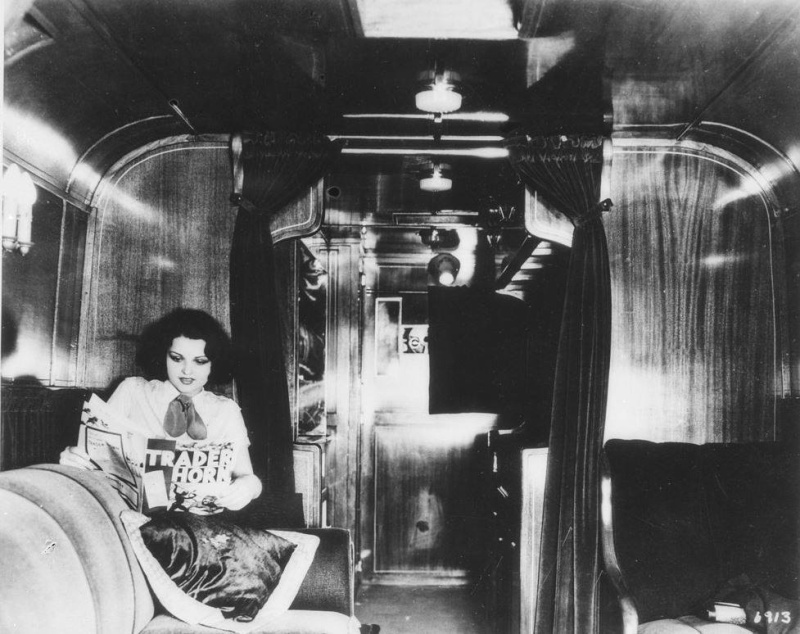 The driver’s “pilot house” is on a second level above the “engine room,” and is reached by a stairway. Under the screen at the rear of this land cruiser are the huge horns that supply sound for the talkies. They are fed with electricity from a built-in gasoline-powered dynamo. The projection room is guarded against fire by automatic sprinklers".